An all natural age-defying face cream formulated to reduce wrinkles and rejuvenate your skin with the restoring power of pure therapeutic essential oils. 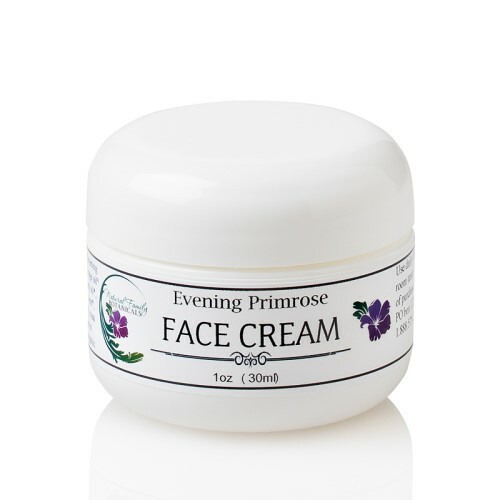 Evening Primrose Anti-aging Face Cream is a deep moisturizing cream with the skin rejuvenating and wrinkle reducing qualities of organic evening primrose oil and borage oil, both rich in GLA, an essential fatty acid necessary for promoting healthy nourished skin. This silky smooth face cream also contains therapeutic emu oil, an amazing trans-dermal body oil that transports all the natural healing benefits of the other ingredients deep into the tissues keeping them strong, supple, and youthful. Our Evening Primrose Natural Face Cream feels great going on and will make your skin look soft and feel smooth and firm. This age defying cream is not greasy and will not clog the pores. Our personal proprietary blend of pure essential oils have been chosen for their ability to rejuvenate and nourish the facial tissue, soothe redness, deep moisturize, and reduce and prevent wrinkles. This effective combination of healing essential oils has a soothing, pleasant herbal scent with crisp green notes of geranium and sweet middle tones of lavender. A complete night cream for a successful beauty rest! Use with confidence. 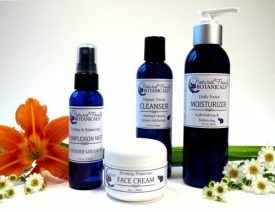 All of our natural skin care products contain no parabens, no phthalates, or sulfates. 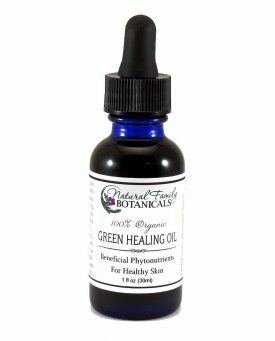 Certified organic aloe vera juice, organic evening primrose oil, organic jojoba oil, organic borage oil, vegetable emulsifying wax, organic virgin olive oil, refined emu oil, non-gmo vitamin E oil, pure essential oils of lavender, frankincense, sandalwood, bergamot, rose absolute, geranium, carrot seed, and more, potassium sorbate, silver dihydrogen citrate (non-nano), non-gmo citric acid (derived from fruit, corn-free). Evening Primrose Oil – strengthen skin cell membrane, atopic dermatitis, eczema, psoriasis, redness, firmness, reduce swelling, hormonal acne. Borage Oil – the same as evening primrose oil including skin repair from environmental damage. Emu Oil – trans-dermal, deep conditioning with too many amazing qualities to put here, so CLICK HERE to read more fantastic information about Emu Oil. Olive Oil – super anti-oxidant protection, creates a moisture barrier to soften wrinkles, assists the sloughing off of dead skin cell buildup. Frankincense – known to help heal blemishes, reduce inflammations, reduce the appearance of scars and wrinkles, good for mature skin. Rose Absolute – good for mature and sensitive complexions; antiseptic; known to repair broken capillaries, reduce inflammation and skin redness; help eczema, rosacea; reduce wrinkles. Carrot Seed – good for mature complexions, wrinkles, revitalizing and toning, eczema, psoriasis, age defying. Sandalwood – used for anti-aging skincare; has great skin toning effect; treats acne; good for oily skin conditions; fighting dry eczema. Geranium – good for broken capillaries, dermatitis, mature skin, acne. Lavender – acne, dermatitis, eczema, inflammations, psoriasis, age spots. Works best when used as a night cream. Gently massage over entire face and neck nightly for noticable results. A little bit goes a long way. I LOVE this product! 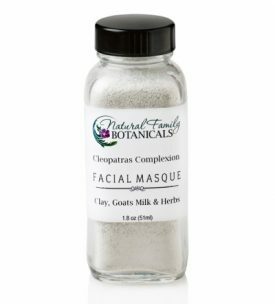 I use this every evening after my face washing routine with your other wonderful products. The Evening Primrose Cream never causes breakouts like other night time creams I have tried. It is thick and creamy, yet somehow breathable and light when it is on. I love the way it makes my skin feel refreshed and makes it look and feel younger and smoother. I never go to sleep without it on…. A superb product! I love this cream and have been using it for several years. I really like this product. I use it for trouble areas on my face. It seems to help them heal quicker. I love love love this cream!! I use rose hip seed oil underneath and this is my nightly ritual. It moisturizes my mature skin without feeling greasy. This evening cream makes my bedtime toilette luxurious. I love the way it makes my skin look and feel, and I love that it costs a fraction of commercially manufactured moisturizers, yet has all the benefits and none of the chemicals. After having breast surgery and suffering for two years with a ‘shingles’ like nerve pain at areas if incision, I have found the Evening Primrose Cream to be the only thing which helped alleviate the pain. In fact, the pain was actually GONE after about a month of using it. I am a true believer in the benefits of using this product.